Consumers deserve a choice, especially when it comes to fuel for their vehicles, and that’s exactly what you can expect now at Friendly’s Fuel Stop, a new fueling station and convenience store just off of the Baltic exit along Interstate 29 (just north of Sioux Falls). Drivers can see a significant financial savings at the pump thanks to the newly installed blender pumps which give buyers five options, including four ethanol blends: E10, E20, E50 and E85. As of 4:00 PM today, those with flex-fuel vehicles could save $.70/gallon today by purchasing E85 instead of regular unleaded gasoline (E0). By choosing ethanol, consumers are not only saving money, but also greatly reducing harmful emissions from their vehicle, reducing the need for foreign oil imports and supporting the local economy. 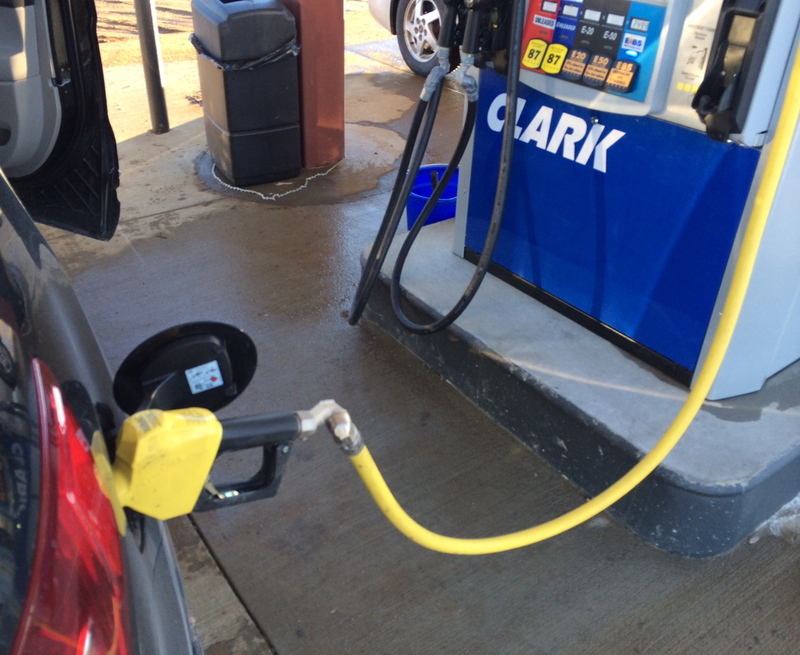 How does choosing ethanol support the local economy? South Dakota proudly produces around 1 billion gallons of the clean-burning, high-octane ethanol fuel each year from corn grown by the state’s family famers. South Dakota’s ethanol industry employs around 1,900 hard-working folks and delivers an annual economic impact of approximately $3.8 billion. So the next time you need to fill up near the Baltic exit on I-29, think local and act global by choosing SD-made, clean, renewable, ethanol fuel. This entry was posted in News and tagged Blender Pump, corn, economy, ethanol, farm, Friendly's, South Dakota.